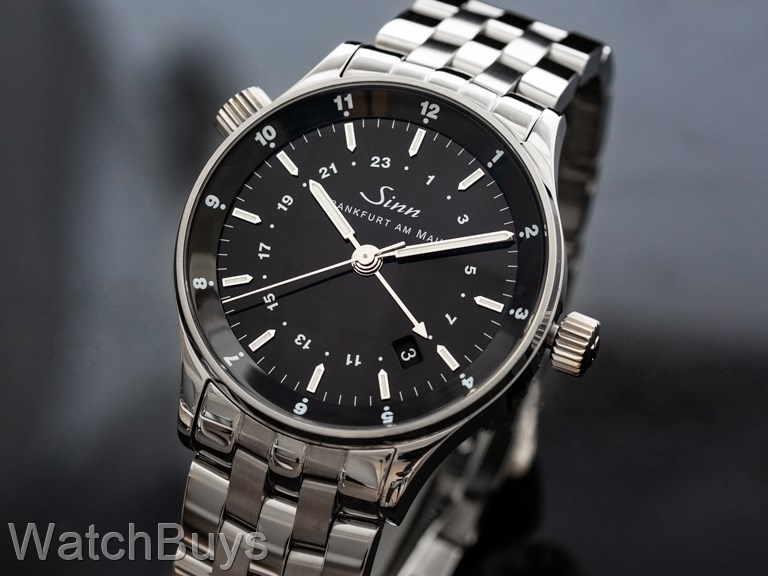 This watch is the smaller version of the Sinn 6096 Frankfurt World Time, and features a 38.5mm case rather than a 41.5 mm case. Like the 6096, this watch features the unique ability to show three different times zones simultaneously. 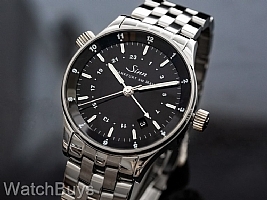 With three time zones on a 12 and 24 hour basis, the Sinn 6060 is the perfect watch for professionals on the go. This watch is also remarkably thin, with a case of thickness of just 12.0 mm, which makes it very comfortable to wear in combination with shirt and jacket sleeves that can often get caught on thicker watches. When purchasing a Sinn 6060 you not only receive an outstanding timepiece, but a number of extras that are included with all Sinn Frankfurt Finance Series watches. Verified Owner Comments: Received it on time, packaging is rendered with great care. The watch picture can never epitomize its beauty, real one looks fabulous. 38.5 mm dial rests just about right on my six and half inches wrist. Luminous hands are also great when it is in pitch black. Different time zones are intuitive to set up. Leather band seems more elegant to me. I didn't wear it on the first day so the watch stopped at that night, when you wear it regularly it shouldn't be a problem. Strongly recommend. Verified Owner Comments: Beautiful to look at and practical too. Pictures do not capture how striking this timepiece is. "Great Day to Day Watch"
Verified Owner Comments: The Frankfurt Finance Watch has become my favorite day to day watch. Comfortable on my wrist, highly legible and very accurate. My watch is within 8-10 seconds per week, which is much better than my other mechanicals. If you work with multiple time zones, this watch is a must!